Great proven quality, function, and performance. From Patrick Kerrigan of Rancho Cucamonga, California on 9/30/2017 . The vest is great. Good fit. Pockets are where you need them. Vest arrived quickly. From Jamco of San Marcos, Texas on 7/20/2017 . This Vest Is the Absolute Best on the Market!! My Husband Rides a Motorcycle daily and can be seen very well!! He's retiring the one (Same Vest ) he's wore for the last 2+ years. It's Just keeps holding Up!! Now he has 2 new ones and is Very Well Pleased!! Very true in Size and very Well Made!! From Village of Leetonia of Leetonia, Ohio on 10/25/2016 . Product was great, quality is excellent. received shipment in a few days. 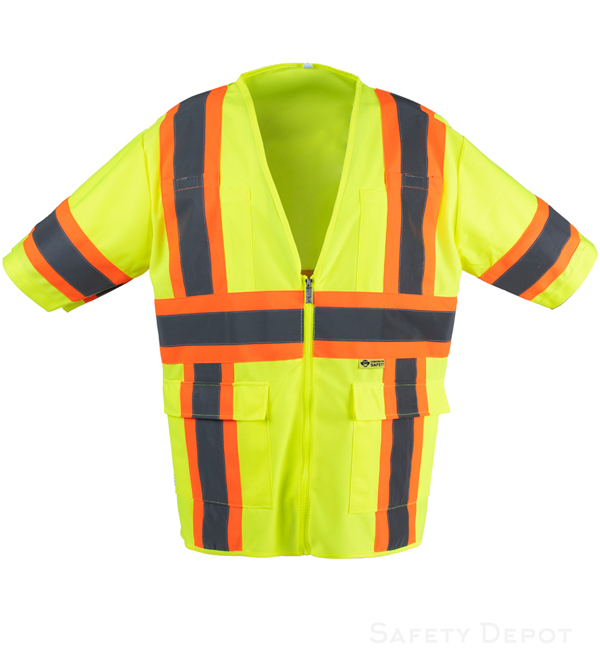 Would highly recommend this product to anyone looking for a great safety vest at an excellent price. Thank You Safety Depot. From Aura Duggins of Raleigh, North Carolina on 5/18/2016 . Arrived quickly, very nice quality. From Cheryl De Mase of Albany, New York on 4/27/2016 .